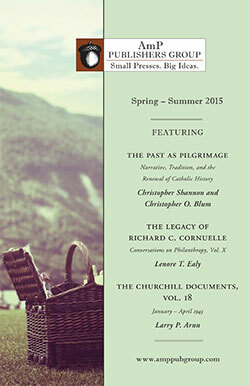 Volume I covers the years from Churchill’s birth in 1874 to his return to England from an American lecture tour, on the day of Queen Victoria’s funeral in 1900, in order to embark on his political career. In the opening pages, the account of his birth is presented through letters of his family. The subject comes on the scene with his own words in a letter to his mother, written when he was seven. His later letters — as a child, as a schoolboy at Harrow, as a cadet at Sandhurst, and as a subaltern in India — show the development of his mind and character, his ambition and awakening interests, which were to merge into a genius of our age. The narrative surrounding these letters presents facts relevant to Sir Winston and other personalities discussed, and fills in the historical background of the last quarter of the nineteenth century. Here is all the excitement of the beginning of the extraordinary career of greatest statesman of the twentieth century. 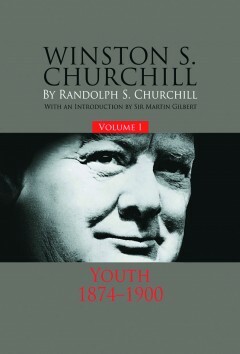 In the definitive biography of Sir Winston Churchill, of which this is the first of eight volumes, Randolph Churchill — and later Sir Martin Gilbert, who took up the work following Randolph’s death in 1968 — had the full use of Sir Winston’s letters and papers, and also carried out research in many hundreds of private archives and public collections. The subject is presented, as far as possible, through his own words, though never neglecting the words of his contemporaries, both friends and critics. Randolph S. Churchill, the only son of Winston Churchill, was born on May 28, 1911. Educated at Eton and Christ Church Oxford, he became a widely read journalist in the 1930s, reporting at first hand on the German elections of 1932 and warning of Hitler’s military ambitions. In the 1930s he fought three vigorous but unsuccessful campaigns to enter Parliament. In World War II, he served as an intelligence officer at General Headquarters, Middle East, and in the Special Forces in the Western Desert. In 1944, he volunteered to the parachute behind enemy lines to serve as a liaison officer with the Yugoslav partisans. For his war services, he was awarded the MBE (Military). For the five war years he was a Member of Parliament for Preston. Between 1938 and 1961 he edited six volumes of his father’s speeches. His own books include The Rise and Fall of Sir Anthony Eden; Lord Derby, King of Lancashire; The Six Day War, a history of the six-day Arab-Israeli war of 1967, written with his son, Winston; and the first two main and five document volumes of the biography of his father: Youth, 1874–1900 and Young Statesman, 1901–1914. A trustee of the Winston Churchill Memorial Trust and an Honorary Fellow of Churchill College, Cambridge, Randolph Churchill died at his home Stour, East Bergholt, Suffolk, on June 6, 1968.